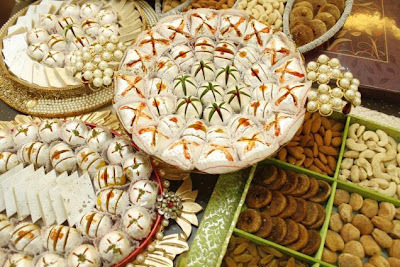 Ahead of the festival of lights Diwali people in Rajasthan are preferring to buy dry fruits as against sweetmeats following reports of adulterated sweets. Every year during the festive season, various cases of adulterated and artificial sweets are reported as the traders often use below standard products to earn higher profits. Agencies in Madhya Pradesh seized six tonnes of adulterated sweets right before Diwali. In Maharashtra agencies seized 5000 kgs of adulterated sweets and in Bihar, around 50,000 containers adulterated of ghee and khoya were seized. Meanwhile, agencies in Chandigarh seized approximately 25,000 kgs of spurious sweets. The demand for dry fruits has risen by about 30-40 percent. As there are many cases of spurious sweets, and there is no durability in sweets, says a shop owner. People said that they do not want to undertake any risks by buying adulterated sweets that could have an adverse impact on their health. Here are the some questions CNN IBN asked to Nutritionist Nidhi Sarin on how to find adulterated sweets this Diwali. CNN IBN: How can we find if the foil on sweets is of silver or aluminium? Nidhi Sarin: There is a simple test, just rub the silver work on your hand by your thumb. If it's aluminium, it will stick to your hand. If it's pure, then nothing will remain. CNN IBN: How can we find if the khoya used is pure? Nidhi Sarin: Secondly for khoya, just rub the khoya on your palm and if it's pure, your palm would become oily, if it's not that oily, then don't buy it. Also all sweets made up of milk and pilk products must be avoided in festive season as they lead to food poisoning, stomach aches and allergies. CNN IBN: Gulab Jamuns are a very popular pick. Are they safe? Nidhi Sarin: No, they are not. You cannot identify the khoya in Gulab Jamun. CNN IBN: Which sweet is the safest? Nidhi Sarin: Laddoos, because they don't have khoya, they don't have colours.